High quality HD footage whatever time of day and in any weather conditions. With an automatic upload this device will send footage to a secure server without the need for manual intervention. Receive immediate e-mails and on-screen notifications if the G-force sensor is activated. Capture speed, GPS position and G-force data. Remote trigger and panic alarm enables driver-triggered alerts and video upload. The IT1000 forward facing telematics camera is ideal for both vehicle fleets and individual drivers due to its ability to lower insurance rates and provide drivers with protection against bogus claims. In the event of an incident this camera will provide you with immediate and secure access to evidence, providing proof of what happened, all of which is safely stored on a remote secure server and backed up with an SD card. The automatic upload feature protects against the risk of SD card corruption which can sometimes occur with SD cards in dash cams, which means that vital footage isn't lost when you need it most. This also means for fleet owners that you can have First Notification of Loss (FNOL) for your entire fleet. Our sister company John Patons Insurance have successfully saved the cost of the camera from a customer's insurance. Depending on your insurance policy, the camera may just pay for itself when you consider how much you could save on your insurance policy. Having the camera would also mean for the low cost of renewing your data policy, you would continue to keep saving money on your insurance policy and protect you in the event of false claims. The camera is always operational, the g-force sensor when activated will automatically transmit footage to your online account without the need for manual intervention. This means that even if you're a single driver you're able to have your vehicle monitored 24/7 and be notified should something happen to your vehicle. Disclaimer: Always check with your local council and insurance provider before having a camera system installed to ensure that it complies with local and policy requirements. 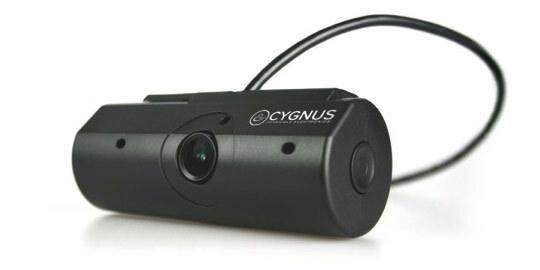 Cygnus-automotive will not be held liable for supplying a camera system that fails to meet the requirements of a local area or insurance policy.